During April 2003, a salvage excavation was conducted at the settlement of Hura (Permit the No. A-3885; map ref. NIG 19281–91/57935–45; OIG 14281–91/07935–45), in the wake of development plans. 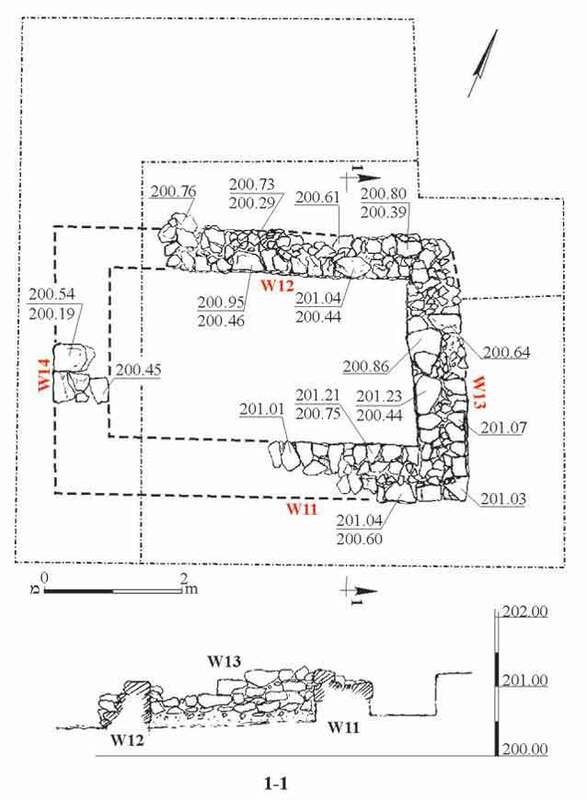 The excavation, undertaken on behalf of the Antiquities Authority and financed by the Israel Lands Administration, was directed by V. Nikolsky-Carmel, with the assistance of A. Hajian (surveying and drafting), T. Sagiv (field photography), L. Kupershmidt (metallurgical laboratory), N. Ze’evi (drawing) and D.T. Ariel (numismatics). Four squares (59 sq m; Fig. 1) were opened within the precincts of the Nahal Shoket site. A building, probably used as a watchman's hut, was exposed. The walls of the structure were built of medium-sized lime stones (0.2 × 0.3 m), which were not all preserved. A stone weight was among those utilized in the construction of the eastern wall (W13). The floor of the building was not preserved. The finds included a few potsherds from the Late Byzantine period, such as bowls (Fig. 2:1, 2), kraters (Fig. 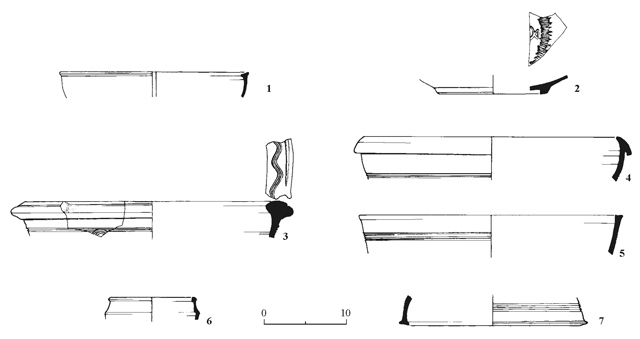 2:3–5), a cooking pot (Fig. 2:6) and a cooking pot lid (Fig. 2:7), as well as several metal fragments, including a poorly preserved coin that probably dates to the fourth century CE.